Exiles is located in Sliema, on northeastern coast of Malta, about halfway between the centres of Sliema and St. Julian’s. The place is also known as St. Julian’s Point, after the landmark of the area, the St. Julian’s Tower. Exiles dive site is situated only a short distance from the seaside promenade of Sliema. 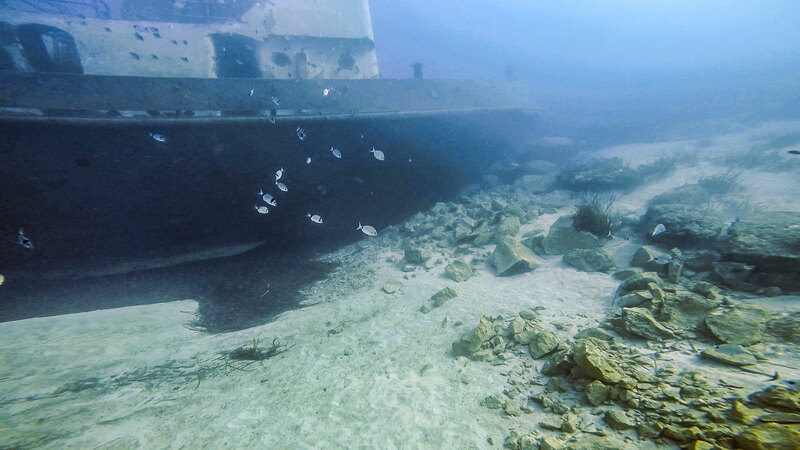 Exiles Reef has been an established dive site for many years, and to enhance this attractive reef, a tugboat wreck Tug 2 was scuttled in 2013 to create an artificial reef in an area of barren sand nearby. Exiles is great location for beginners, training dives and night diving. Exiles is ideally dived with southerly or southwesterly winds. The entry/exit point is accessed from concrete stairs & platform and has a ladder. In case the ladder is removed during the winter months, it's possible to enter and exit from the side of the concrete platform. Also there is another entry/exit point on the other side of the tip which is mainly accessible over bare rock. When diving in Exiles, beware of the boat traffic, especially in summertime during weekends. There are yellow marker buoys for the wreck and the reef, but not all boats stay outside the markers, and they can be removed from the sea for the winter months. Then a DSMB is a must, and at other times it is advisable. Parking, public toilets, dive centre, beach clubs in summer, kiosks, cafes, restaurants, grocery stores, children's playground available nearby. The parking area is 50-100 m from the entry/exit points, and can be crowded during summer months, especially on weekends. Tug Boat 2 is shallow wreck dive off shore Exiles, Sliema, Malta. Tug 2 was 30m tugboat and was scuttled in 2013 for scuba diving. Wreck is upright at 22m. 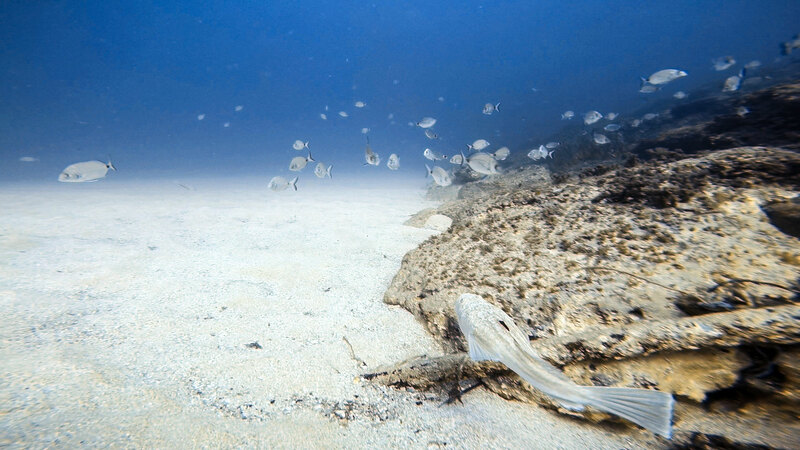 Exiles Reef dive site in Sliema is a shallow reef with narrow gullies and overhangs, Posidonia seagrass fields and diversity of fish life. Max depth is 20m. Fireworks barge wreck is in St. Julian’s Bay between Spinola and Exiles. It sank in September 2009 after fireworks explosion, and lies on sand at depth 10m. ★★★☆☆ Tug 2 is a nice wreck to visit and the reef has great hiding spots for sea life.